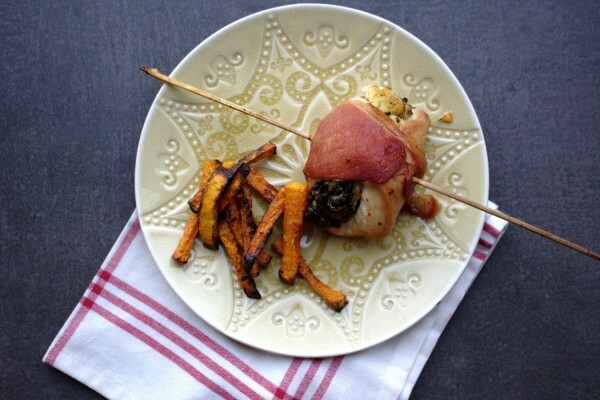 This recipe is an homage to a dish my mother often made when I was growing up. It was my favourite dinner but was stuffed with breadcrumbs. I have made a gluten and grain-free version which I think is just as good – hope you agree Mom! 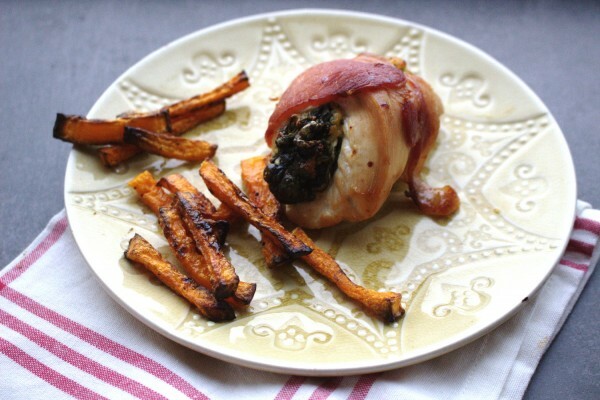 In fairness why would it not be delicious: chicken, bacon, cheese and spinach? This recipe is definitely a crowd-pleaser and has that wow factor for a dinner party. 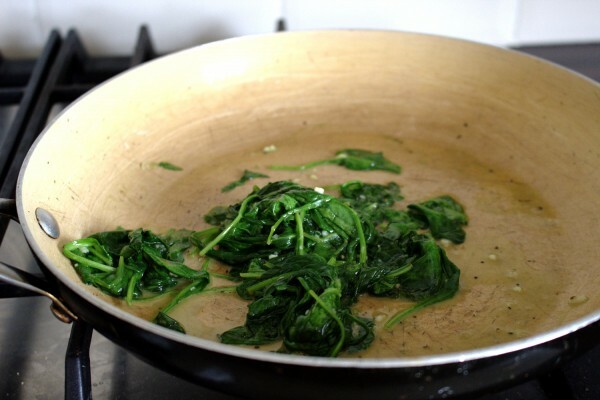 To be honest, the smell alone of the spinach being sautéed with garlic and butter is enough to make anyone salivate. My husband had one complaint: there wasn’t enough! This recipe uses dry curd cottage cheese which is allowed on the Specific Carbohydrate Diet (SCD). It can be purchased in Polish shops in the UK and Ireland under the name “Twarog”. It is traditionally used in cheesecakes. Make sure to get the red packet which is the full fat one. This should not be confused with regular cottage cheese which is not allowed on SCD. If you are not following any special diet, then feel free to substitute a different cheese if you prefer. I imagine cream cheese would work well too. Chicken, bacon, cheese, spinach, garlic and butter. Need I say more? Preheat the oven to 200°C Fan, 220°C electric, gas mark 7 or 420°F. 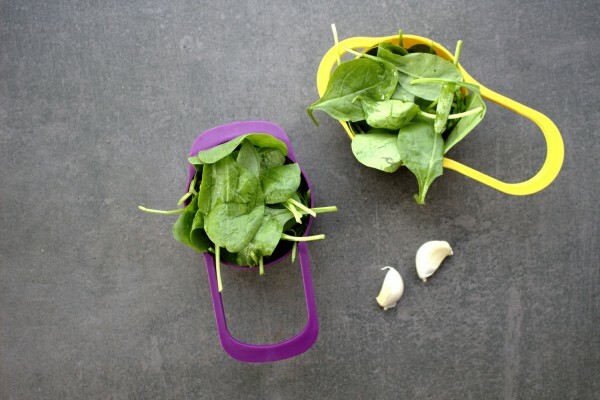 Melt the butter in a frying pan on a low heat and add the spinach and garlic. Sauté for a few minutes until the spinach is wilted. 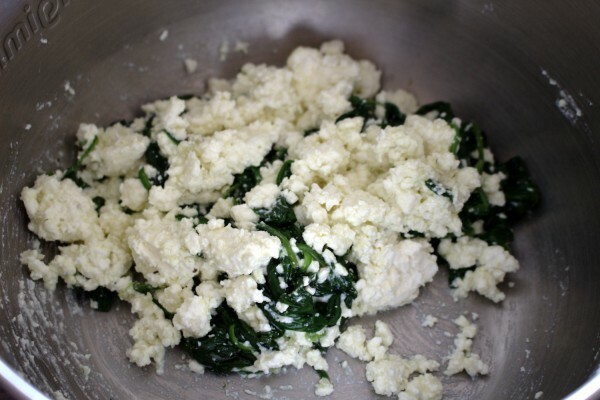 Add the spinach to the dry curd cottage cheese and mix well. Season with salt and pepper. 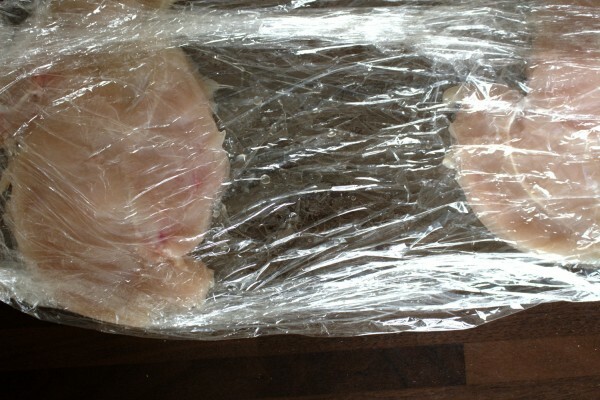 Place the chicken breasts between two sheets of cling film. Cover completely and wrap up the ends of the cling film. Using a meat tenderiser, flatten the chicken breasts as much as possible. 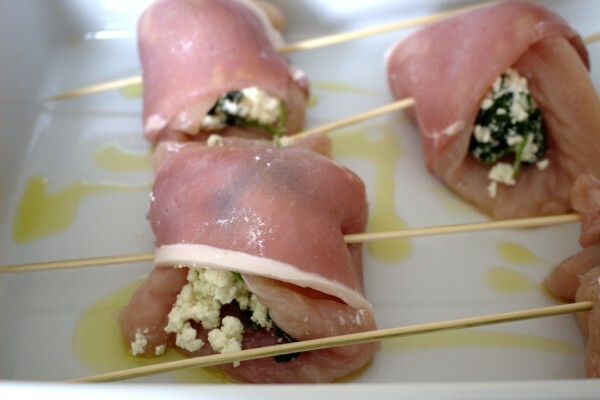 Next, place one quarter of the spinach and cheese mixture on each chicken breast and roll the breast with one hand while wrapping a bacon slice around it with the other hand. Secure with a long skewer or with twine. Bake in the oven for roughly 40 minutes until the chicken is completely cooked through. I recommend checking the chicken's internal temperature with meat thermometer for safety.